This is a claim for contribution filed in Prince George's County by a nursing home claiming that a radiologist failed to communicate x-ray results with the ordering nurse. It was filed in Health Claims Arbitration on March 8, 2018, and it is the 110th medical malpractice case filed in Maryland this year. When a Brinton Woods nursing home resident began complaining of abdominal pain, a nurse ordered an abdominal x-ray which was performed and interpreted by a radiologist at Radiation Physics. The radiologist noted that the x-ray could not rule out a colon or rectal obstruction, but failed to notify the nurse about his findings. The next day, the resident was transported to the hospital in distress. He underwent an emergency surgery to treat his undiagnosed bowel obstruction and died shortly after surgery. The man's family sued Brinton Woods after his undiagnosed bowel obstruction led to a fatal perforation. If Brinton Woods receives an adverse judgment in that lawsuit, then Brinton Woods asserts that Radiation Physics is actually liable for the damages. Brinton Woods is arguing that the radiologist is really to blame instead of the nursing home. The nursing home contends that a potential sigmoid volvulus is an emergent radiologic finding that requires the radiologist communicate directly with the referring physician. The family's lawsuit against Brinton Woods was filed on August 8, 2017. A brief summary of their claim (#362) can be found here. Plaintiffs' nursing home lawyers generally would prefer to bring a lawsuit without pointing to the doctor as a negligent cause. Doctors are far more likely to get the benefit of the doubt than a nursing home. So they case if often cleaner if you keep the doctor out of it. Still, in this case, Brinton Woods may be doing the plaintiff a favor because the liability is so simple to explain and seemingly relatively clear cut. A volvulus is when the intestine, is twisted. A volvulus can cause an inadequate supply of blood to the vital organs and, in particular, the heart. If the doctor thinks the patient has a sigmoid volvulus, they will often have to put a sigmoidoscope up and try to decompress it, allow the patient to empty out and then resect the volvulus. So it is a big deal which is why a radiological finding of a potential volvulus is a big deal. Health care providers, often to the detriment of their own interests, try to walk hand-in-hand with other health care defendants. Usually, the lawyers will stop the defendant from blaming each other even when they are desperate to point to another provider as the culprit. There is less of this litigation love between nursing home and doctor. Usually the shoe is on the other foot and the doctors are blaming the nursing home as the negligent cause of the patient's injuries . Failing to contact the attending physician and the ordering nurse practitioner to inform them of the positive x-ray results. As a direct result of the defendants' negligence, a man died of an untreated bowel obstruction and the claimants were sued on his behalf. Joel Bowers, M.D., is an expert in diagnostic radiology in Gambrills, Maryland. Dr. Bowers is pointing to the radiologist contenting that he failed to communicate the findings from the abdominal x-ray to the doctor that order the test. Read about two other Brinton Woods nursing homes in Baltimore and Arlington West. 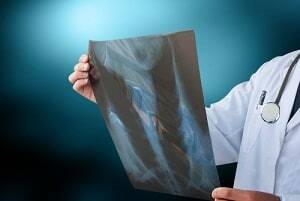 Learn more about volvulus misdiagnosis lawsuits.